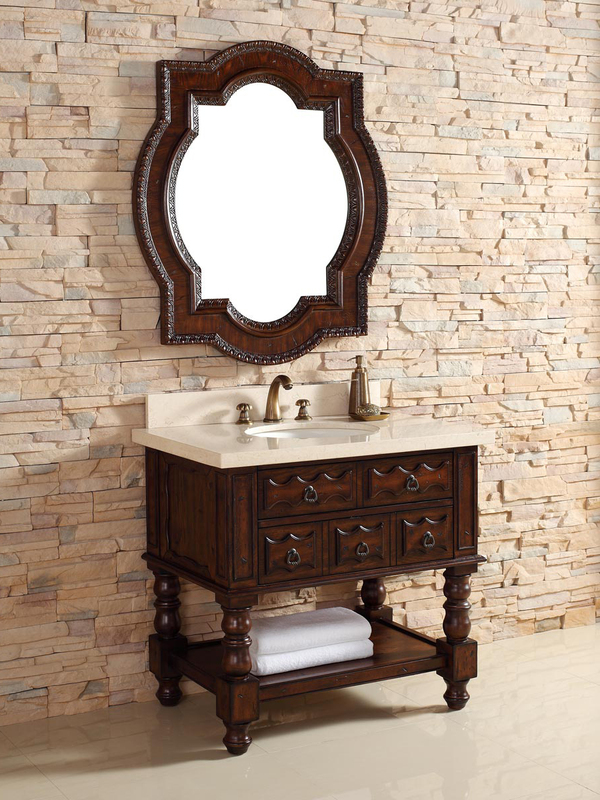 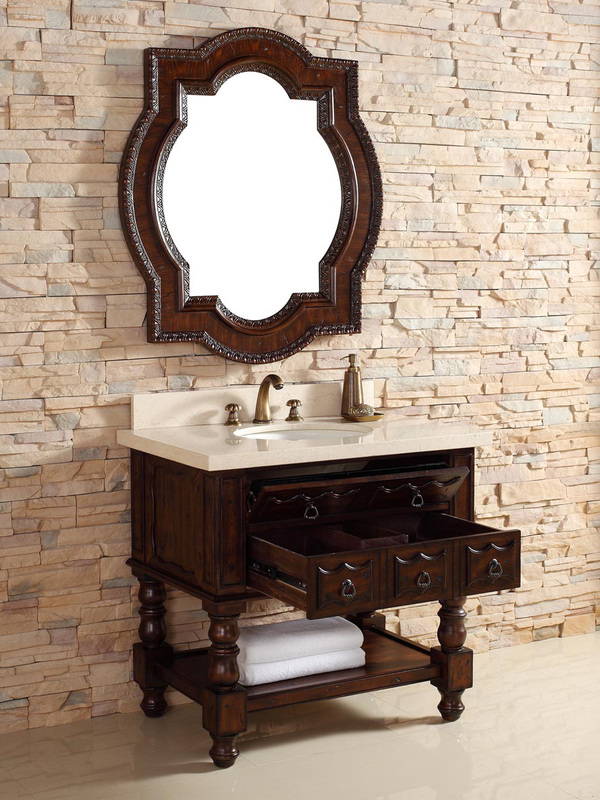 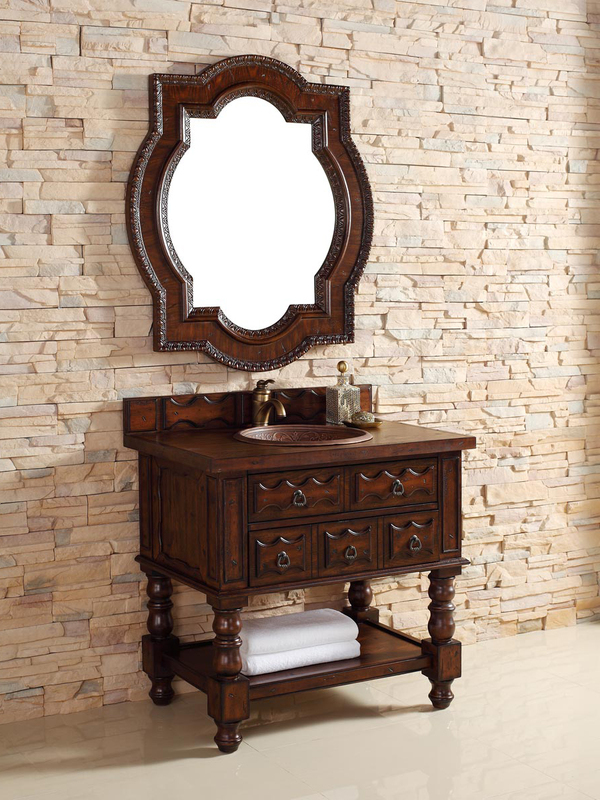 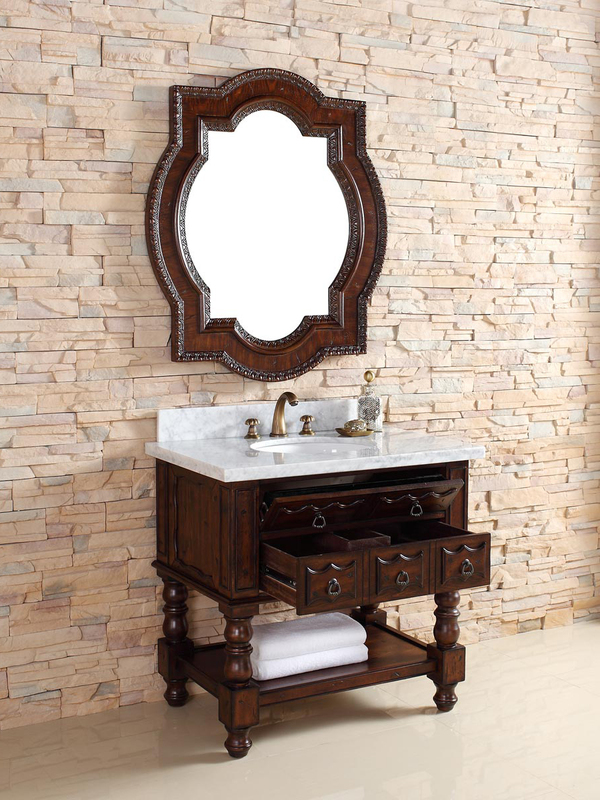 Give your bathroom a classy appeal with the 36" Castilian Single Bath Vanity. 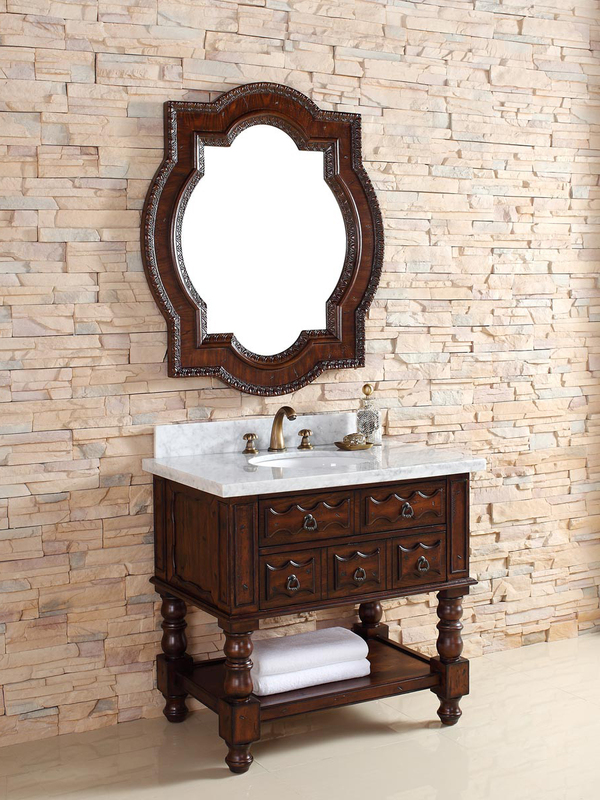 Featuring an Old English inspired design, this vanity boasts a completely hand-carved cabinet made from solid oak and birch with an Aged Cognac finish. 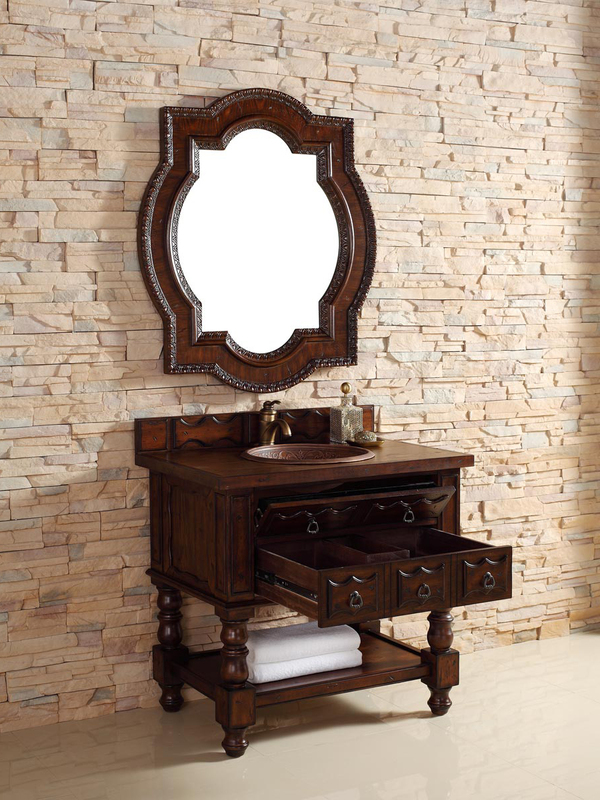 The cabinet features a fully-extendable drawer fitted around the plumbing, a hide-away drawer on top and a lower towel shelf to make storing your bathroom accessories an easy and neat ordeal. 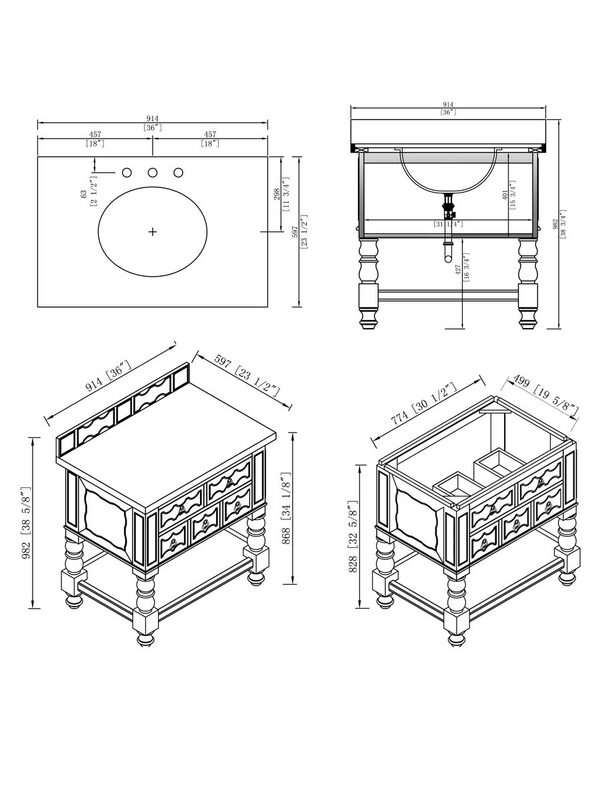 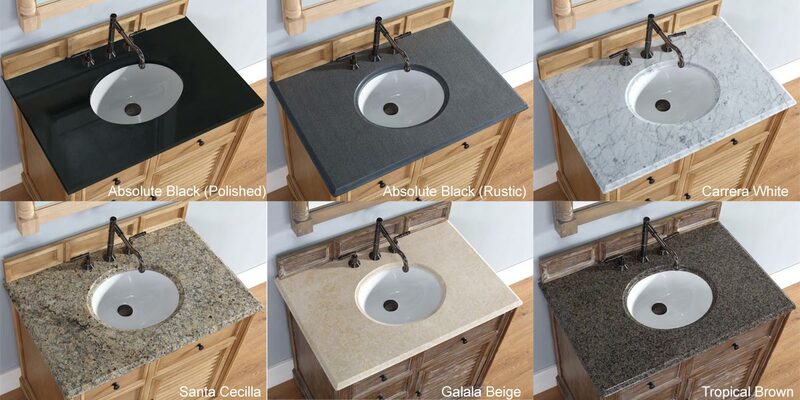 The top is available in six beautiful options - from a matching wood to 7 stone options. 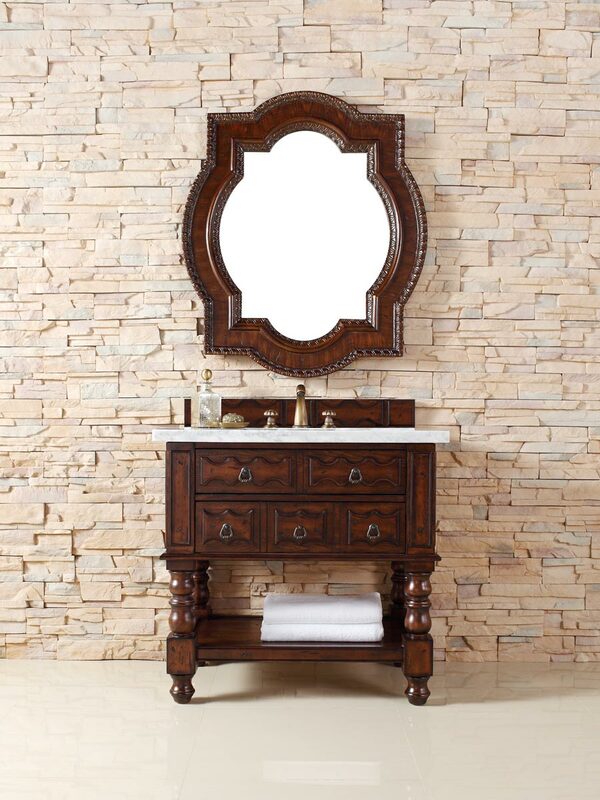 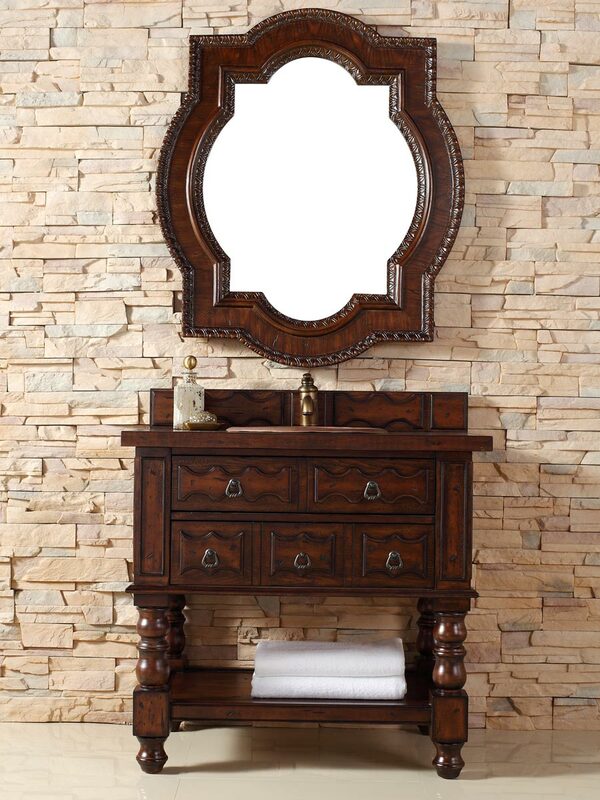 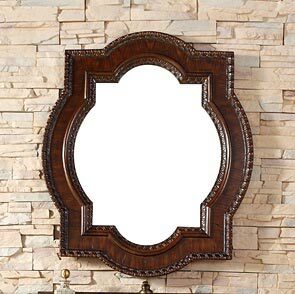 A matching mirror is also available to give your vanity even more style!